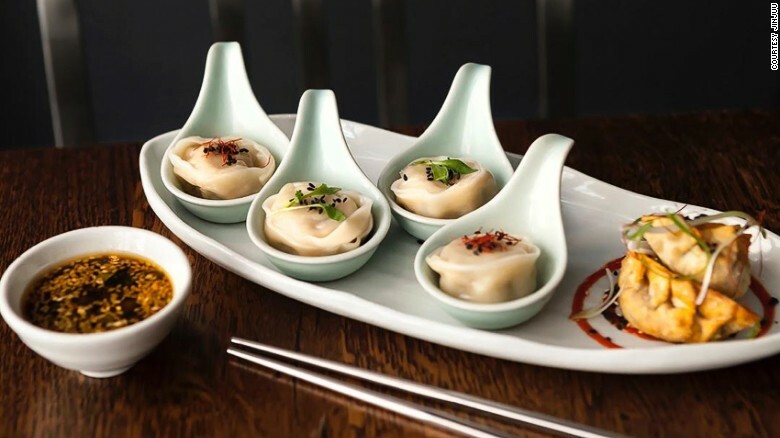 Korean food continues its global rise with the second opening in London from chef Judy Joo. 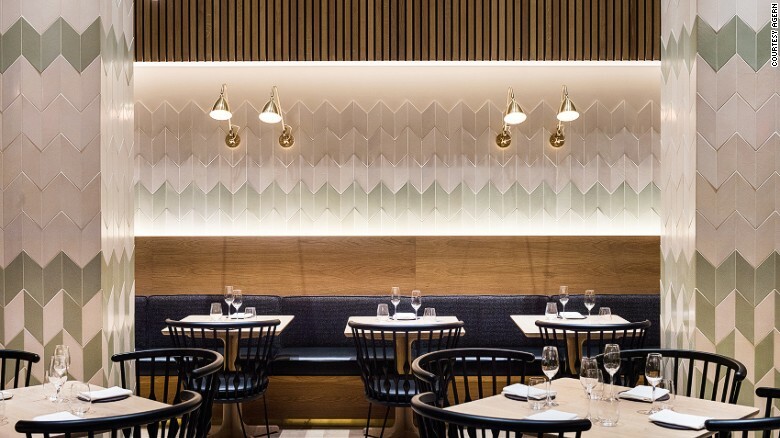 Located on Albermarle Street in swanky Mayfair, it promises a fun and modern take on the country’s cooking with dishes that include hoedeopbap: slices of raw and fresh seafood with signature Korean dressing and marinated skewers of Ibérico pork and prime rib, cooked in the classic Korean barbecue style. Unsurprisingly, a number of cocktails feature soju, Korea’s spirit of choice, while some of the country’s best craft beers are also available. Owners James and Louise Rusk already have award-winning venues to their name and, with more than 1,000 people booked into this New York-loft style restaurant in the first two weeks of opening, it seems their stellar run is set to continue. As the name suggests, expect top-quality Spanish meats including Grade 9 Galician steak or 30-month salt-cured Jamón Ibérico. Extensive grill options include seafood such as turbot and octopus. 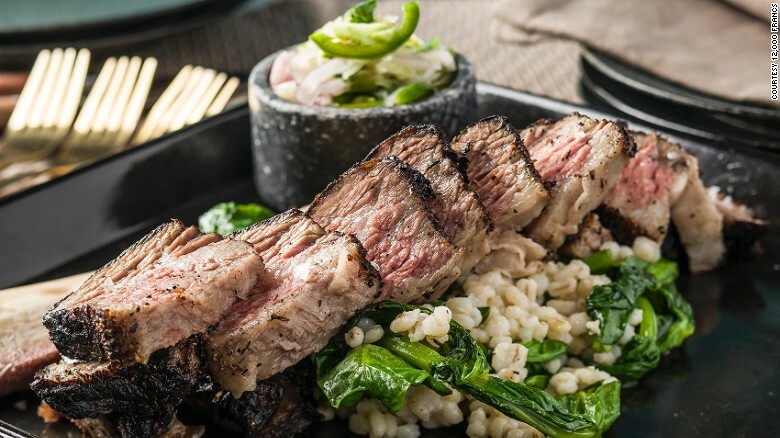 At the Kimpton Seafire Resort + Spa on Grand Cayman, Avecita is a 10-seat chef’s bar that offers a “tasting experience” of around 15 small plates created in front of you. 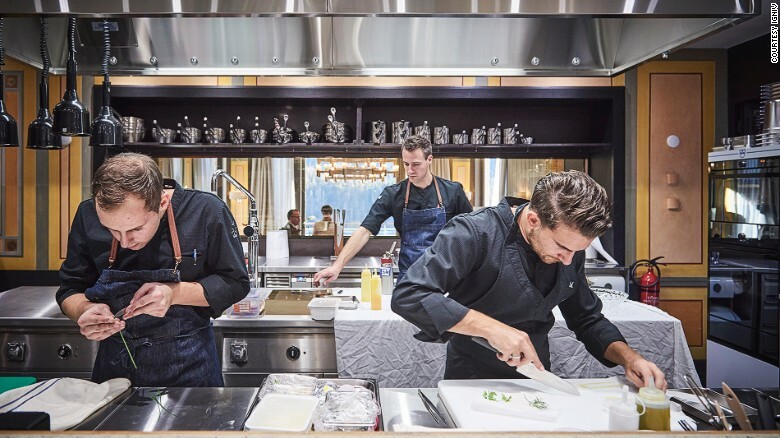 Although chef Remy Lefebvre is French, he spent years in Barcelona which shows in his tapas cooked on the plancha, including slow-braised and charred octopus. Handcrafted cocktails feature local Caribbean bitters and fruit. Badrutt’s Palace is a luxury hotel in the swish Swiss resort of St Moritz, now with a restaurant to match, in partnership with a chef with three Michelin stars to his name, Andreas Caminada. “IGNIV” means “nest” in Switzerland’s fourth language of Rhaeto-Romance. The restaurant invites gourmets on a gastronomic journey with a difference where platters of food are passed around the table, family style. A hostel might seem an unusual location for a restaurant, but in an area of Stockholm known as Europe’s Silicon Valley, Hilma has won fans for global dishes with Scandinavian touches. This means plates such as trout sashimi with brown butter, soy vinaigrette, mushrooms and watercress or charred salmon with miso mayonnaise and dill salad. Pricing is based per dish from one for $14 to six for $65. With this being hipster central, there are even two resident tattooists on hand. This oddly named joint in the city’s Soho district is inspired by Napoleon Bonaparte’s bounty offered for anyone who could preserve food for his troops. Accordingly, chef Conor Beach celebrates the art of preserving with global influences across the menu via Picked + Potted, Smoke + Salted, Vacuum + Fire and Sugar + Sweet. Japanese bonito fish comes with marinated and grilled eggplant, fried onion, smoked almonds and an almond aioli for a textural and flavor masterclass, while desserts are not to be missed. The Margi Hotel’s new restaurant allows chef Panagiotis Giakalis to raid the property’s farm for the finest Mediterranean produce, before crafting them into a choice of gourmet degustation menus that set a new standard for contemporary Greek cuisine. 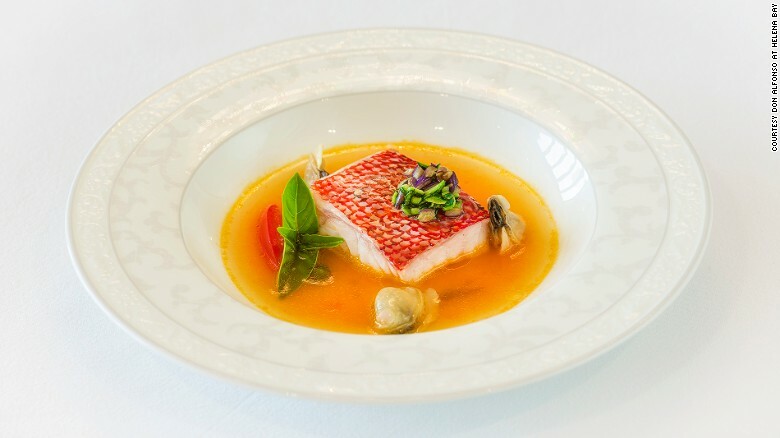 He brings with him serious culinary chops including stints with French legend Eric Frechon and time in Michelin-starred kitchens in Milan and Paris. Regular visitors to the Thai capital know that restaurants with views are much in demand, and its newest rises 26 floors above the Chao Phraya river. Attitude sits atop the new Avani hotel and serves small plates such as crispy pork skin with crunchy onion, polenta chips and a sweet and sour apple sauce. Mad Hatter is a crunchy matcha (green tea) cake, with lemon sorbet and kumquat salad. Try saying that after a few cocktails. To global gourmets, Danish culinary entrepreneur Claus Meyer is something of a hero after co-founding the legendary NOMA in Copenhagen. His first US venture, Agern opened a few months ago in the jaw-dropping surrounds of New York’s Grand Central Station and has been packing them in ever since. Icelandic executive chef Gunnar Gíslason is at the helm and delivers simple, clean but memorable dishes with distinctly Nordic roots, notably in his Land & Sea and Field & Forest tasting menus. Ryan Clift trained under chefs such as the legendary Marco Pierre-White before establishing his own restaurant, Tippling Club, in Singapore. Now he is targeting the island of Bali via a new space called Grow at the L Hotel. The concept is all-day dining with plenty of healthy eating options for the island’s numerous wellness fans. His reputation as winner of one of Asia’s 50 Best Restaurants 2016 means that other options will be more sinful. The indigenous people of Western Australia established a calendar of six seasons rather than four and this ethos guides Wildflower at COMO The Treasury, where genuine culinary innovation is on the menu. Executive chef Jed Gerrard has long been fascinated with native Aussie ingredients and his farm-and-forager menu is set to showcase truly seasonal and local produce. This may mean some of the state’s more than 12,000 species of wildflower or Dorper lamb make it to the plate, while dishes and desserts also feature wildflower honey from the restaurant’s rooftop beehives. Sushi Wakon at The Four Seasons in Japan’s elegant former capital of Kyoto promises diners a “quintessential Ginza sushi experience.” This is down to chef Rei Masuda, a 36-year-old sushi protégé named by Jiro Ono (of “Jiro Dreams of Sushi” documentary fame) as having “truly remarkable seasoning.” After nine years working under Jiro he opened Sushi Masuda which quickly won two Michelin stars. In Kyoto he’ll serve traditional edomae-style sushi from an exclusive dining room that overlooks an 800-year-old pond garden. Brothers Giles and James Edwards are behind this new French bistro which is all about nose-to-tail eating. Situated in Cape Town’s increasingly popular Bree Street restaurant landscape, part of their goal is to get diners to embrace otherwise unfamiliar parts of the animal. It’s no surprise that Giles worked for years with the godfather of nose-to-tail chefs, Fergus Henderson, at London’s peerless St John restaurant. The menu changes daily but will include plates such as crispy pig tails. New Zealand is proud of its luxury lodges and Helena Bay is one of the newest, offering breathtaking views alongside world-class cuisine. It’s pulled off a culinary coup by bringing the team behind Italy’s renowned Ristorante Don Alfonso 1890 to the Southern Hemisphere. Michele Martino is the executive chef behind a six-course degustation menu which changes nightly. April Bloomfield is one of the most successful British chefs in New York with venues including the much-loved Greenwich Village stalwart The Spotted Pig to her name. Her newest venture White Gold is uptown on the Upper West Side and features a full service restaurant with 38 seats that also doubles as a butcher’s shop. Carnivorous cuts such as beef heart are on the menu, in addition to fermented pickles, bone broth, smoked lamb shoulder and more. Sushi doesn’t get much better than Michelin-starred omakase-style where chefs craft every piece in front of you. 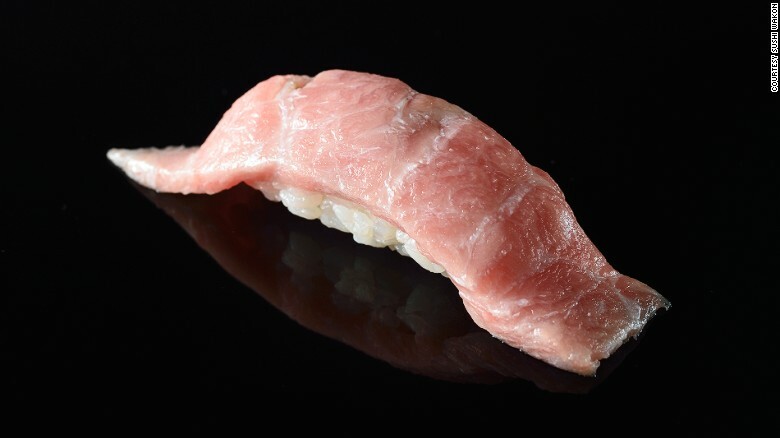 West Hollywood is the second US location for Sushi Ginza Onodera, following their hugely successful New York opening. The fish is all wild (never farmed) and flown in daily from Japan, meaning executive chef Yohei Matsuki has perfect produce to play with. The 16-seat counter is only open for dinner, with the menu at a cool $300 per person — but at least the gratuity is included.